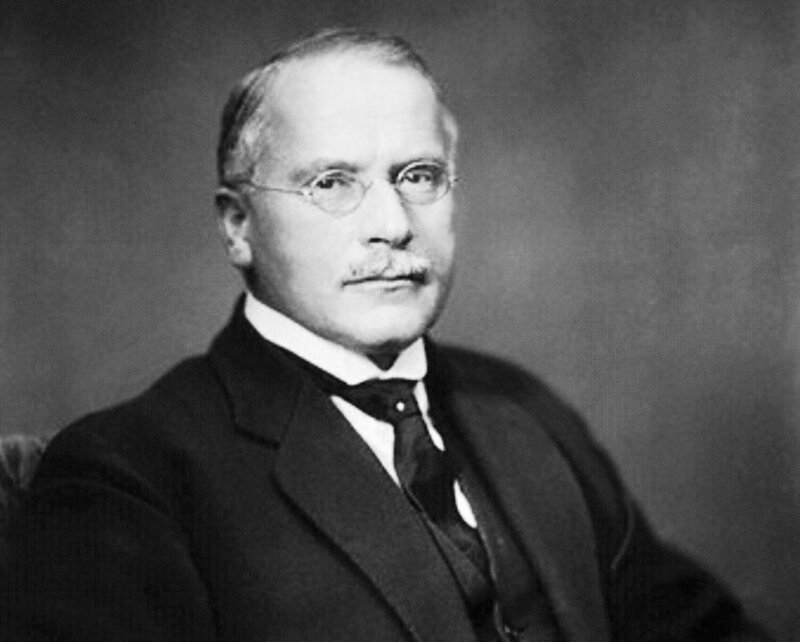 Carl Gustav Jung (26 July 1875 - 6 June 1961) was born in Switzerland, the son of a Protestantpastor. As an early psychiatrist Jung was initially a close associate of Freud, but in 1913 as Jung began to view the human psyche as ‘by nature religious’ that relationship had fractured. Jung then began his long and solitary journey of confrontation with the inner self. Out of this derived Jung’s whole approach to the collective unconscious and the individuation process - whereby one comes to live fully the spiritual and material, the conscious and unconscious aspects of oneself. He called his approach ‘analytical psychology'. Jung explored: myth, archetypes, fairy tales, symbols, astrology, literature and the arts; recognizing in them a calling to ‘go beyond’. This inner journey, largely via dreams and creative expression, necessitates an encounter with the Shadow and the anima/animus. Jung found parallels to his thinking in his study of Gnosticism and alchemy – both European and Chinese. His cultural expeditions took him to Africa, India and America. Jung’s work also gave religious experience an image, a form, in which to express itself. He considered Christianity to be a dynamic evolving relationship with God, but having foundations that remain the same eternally. In the latter part of his life he wrote about evil, undeserved suffering, and God’s relation to these. His work on synchronicity challenged ideas of time space and causality. Jung’s work has been influential in psychiatry and in the study of religion, philosophy, archaeology, anthropology, literature and related fields. The Myers-Briggs Type Indicator was developed from Jung’s theory of personality types. He was a prolific writer, many of whose works were not published until after his death – most notably The Red Book. Chapter 26. "Art as Archetypal Form"